Slowly but surely, Microsoft store is growing bit by bit. Developers and publishers are bringing their UWP (Universal Windows Platform), PWA (Progressive Web Apps), and Win 32 apps to the Store. The big benefit of using Store apps is its security and ease of installing, uninstalling and updating. The latest entry to the increasing store apps number is the NVIDIA Control Panel. NVIDIA Control Panel in Windows 10 has better "display management, application, and gaming-specific features, the NVIDIA Control Panel ensures the best overall experience using NVIDIA graphics". 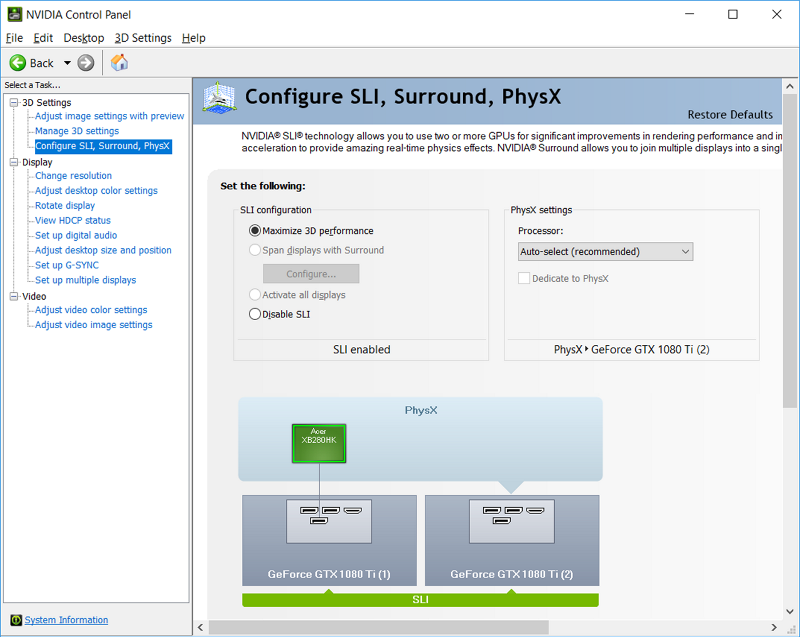 Additionally, the NVIDIA Control Panel application also allows you to see detailed information of your graphics card and its settings, set up G-SYNC, SLI configuration, configure PhysX settings, manage 3D settings, etc. Obviously, NVIDIA Control Panel is aimed towards NVIDIA graphics card user. If you don't have supported hardware, you cannot use the software. NVIDIA Control Panel in the Store is not a native UWP app. Rather it is a win32 app ported to Store using the Desktop Bridge solution. You can see that from the app screenshots in the Store listing page. Microsoft's Desktop Bridge is being used by a lot of developers to port their win32 apps to Store. Some great examples of the porting would be Paint.NET, iTunes, IrfanView, ShareX, mp3tag, etc. Here are some of the best store apps you should try. As good as it is, as of writing this, the NVIDIA Control Panel installed from Store is crashing for some users. Some users are also tweeting that the app is displaying "supported NVIDIA Driver is not installed on your system" when launched. Looks like the new store app has some ironing to do to be a good store app. Hopefully, NVIDIA does the needful and quickly to fix the issues. You can download NVIDIA Control Panel from Store by searching for "NVIDIA Control Panel" or by clicking here. Once you are in the Store page, click on the "Install" button and Windows 10 will download the app and install it for you automatically.